Nonprofit businesses and charities are quite familiar with the idea of accepting donations. There is nothing wrong with asking donations for a good cause. Are you one of those people who are running non-profit organizations or any organizations that need donations for the fulfillment of a day-to-day project? Here in this article the best free WordPress donations widgets to be shown below will surely be useful to your cause. These free WordPress donations widgets are very easy to use. Any one can easily donate money through their PayPal account, Credit Card, Debit card etc. You can receive donations, track donors and send customized thank you messages with these awesome donation widget plugins. You may be interested in the following posts: Free WordPress Plugins for Church Websites, Free WordPress Photography Themes and Premium WordPress Journalist Themes. 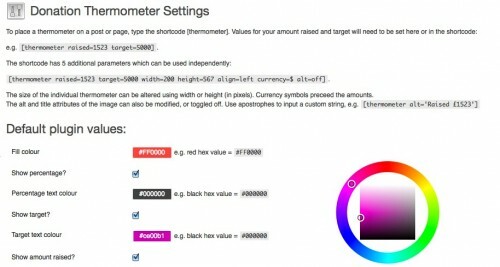 A fully customisable fundraising thermometer with PayPal integration, custom skins and support for multiple vertical and horizontal thermometers. Donation Thermometer’ uses a simple shortcode to display classic-style thermometers on your WordPress site for your fund-raising activities. Easily add a donation button to your site using InspirePay.com. Get paid via PayPal, Dwolla, and Credit Cards. A wordpress plugins to add paypal donation widget in the sidebar . It has been developed for not profiting organizations. Donate Extra is plugin that will allow you to receive donations on your WordPress enabled site via Paypal. 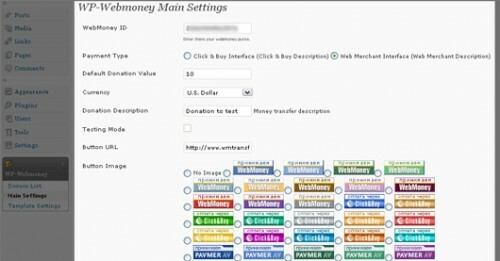 This WordPress plugin will allow you to create unique customized PayPal donation widgets to insert into your WordPress posts or pages and accept donations. PayPal charges high fees for cross border transactions. If you are one of the fortunate few that have paypal accounts in multiple currencies then this plugin is for you. This plugin displays random bible verses concerning prosperity in posts using a shortcode. This plugin also displays random prosperity scriptures on every admin page.